Trucks are all about strength. 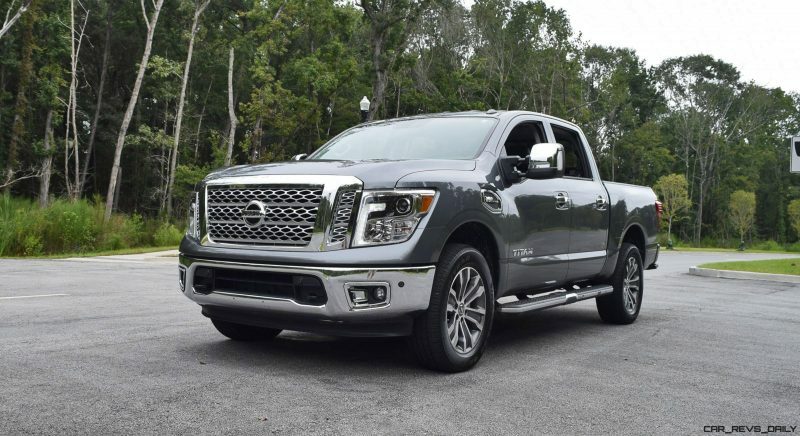 Why not have more towing, hauling and running power than you might need? There is huge peace of mind in knowing you have so much excess capability. At some point, though, that extra muscle makes life more difficult. That point is arguably between 1500 and 2500 pickups. 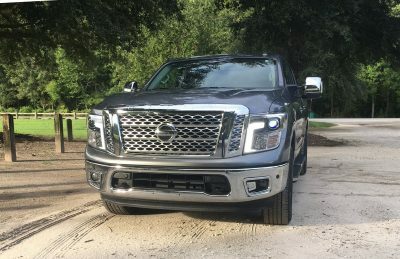 Yes, the 2500s have even more giant motors and higher tow ratings. 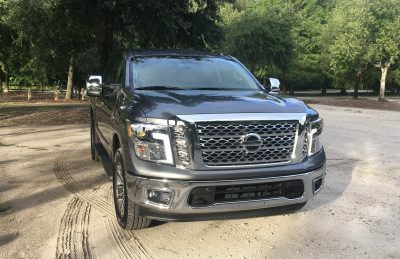 The new Nissan Titan bridges this gap and aims for 1500 ease of use but near 2500 size and stats. 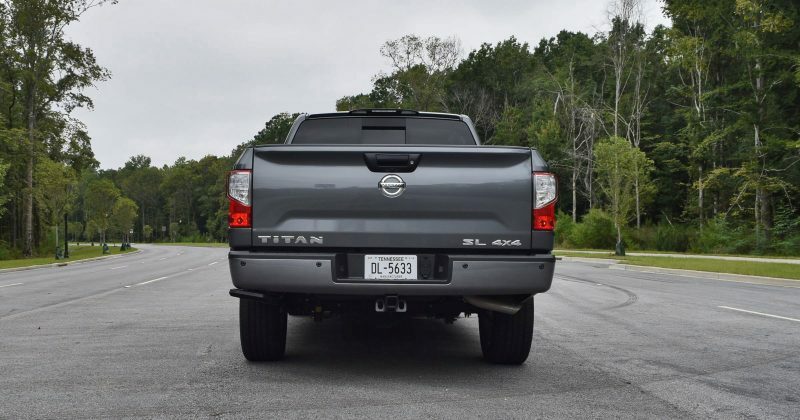 The Titan XD straddles that gap perfectly and the XD option comes standard with the 5.0-liter Cummins TDV8. This new Titan SL – sans the XD upgrade – is cheaper, nimbler and slightly quicker than its big XD brother. 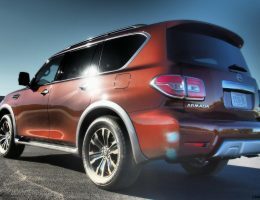 Without sacrificing any of the road presence or curb appeal of the gigantic XD. 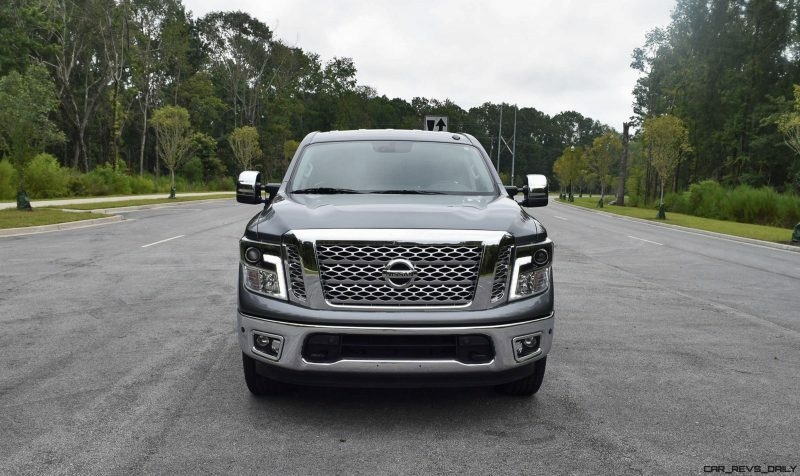 Think of the The Rock as the XD versus Vin Diesel for the Titan SL. Both are giant, shredded dudes who live for the weight room. Our truck needs are very light. So we basically took them both ballroom dancing – aka speedy performance driving on twisty roads. Yes, The Rock (XD) can hang and keep up. 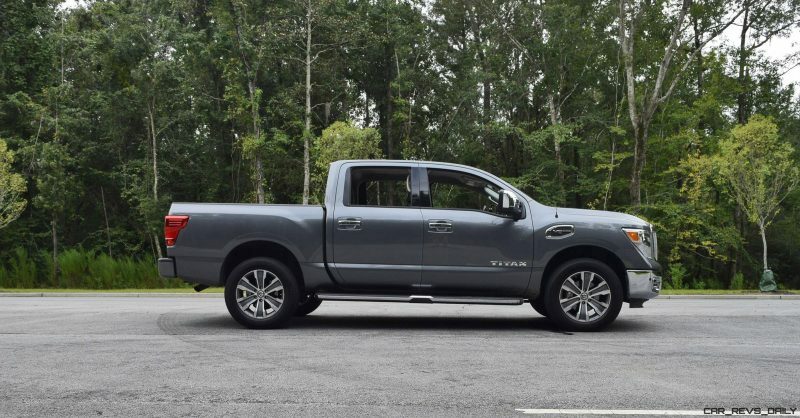 But the Titan SL is a much more natural dancer. 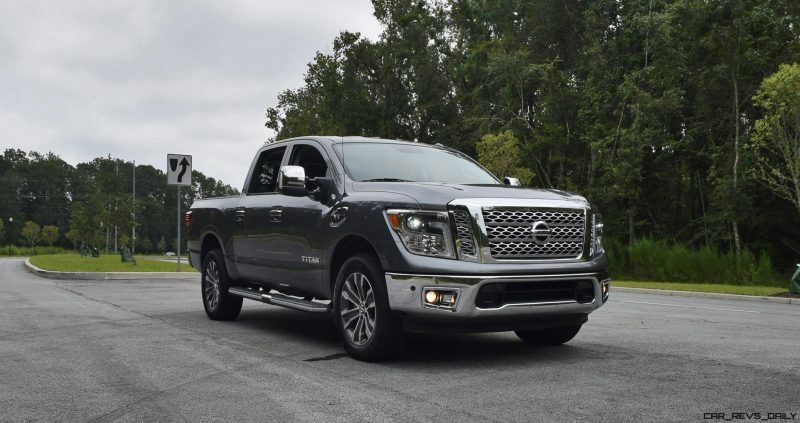 What other rewards come with the non-XD Nissan Titan? We spent a week behind the wheel to find out. 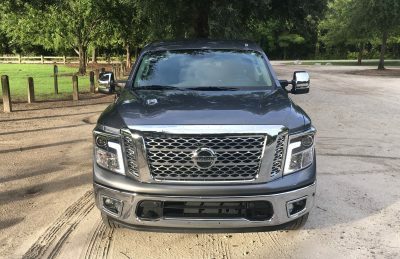 Included here is a brief drive review with some exterior exhaust note shots that are must-hear V8 heaven. Also a few dozen photos and the normal Exterior, Interior, Performance and Pricing section heads. First things first: think of the exterior designs of the Titan as the same for each variant. They are identical outside apart from no XD badges and larger alloy wheels. It took two full driving days before we realized this was not, in fact, the XD model. 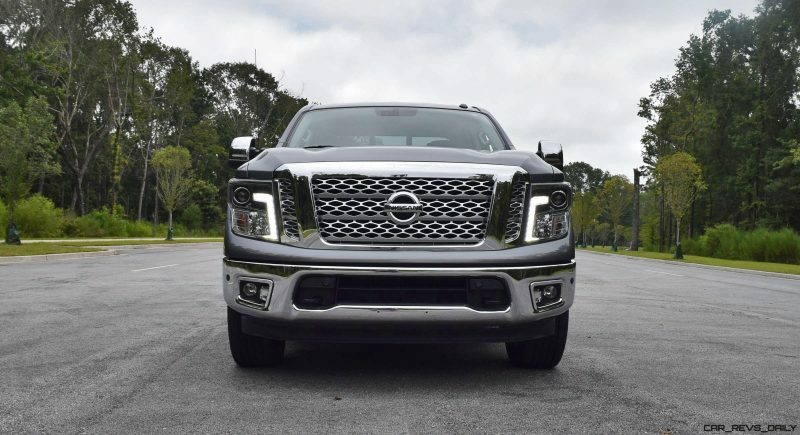 Same towering ride height, same dome hood and a chrome grille larger than an office desk staring you in the face at eye level. This SL spec is midrange with thus wears chrome for its front bumper. Very traditional giant-truck stuff. 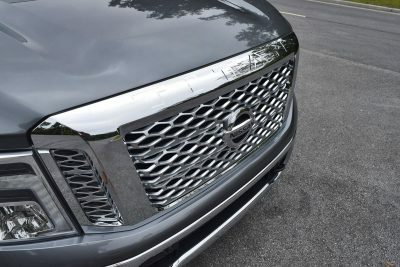 The cross-hatch metal mesh of the grillework is a cool detail on all Titans. It looks tough but also expensive and premium. 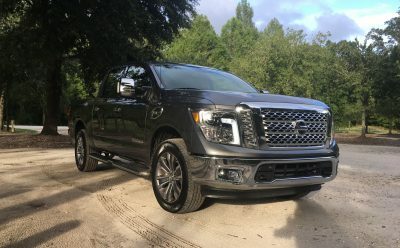 Titan is still dominated by a giant hood when the truck is viewed in profile. To make room for the Cummins diesel, this engine bay is oversized to the max. 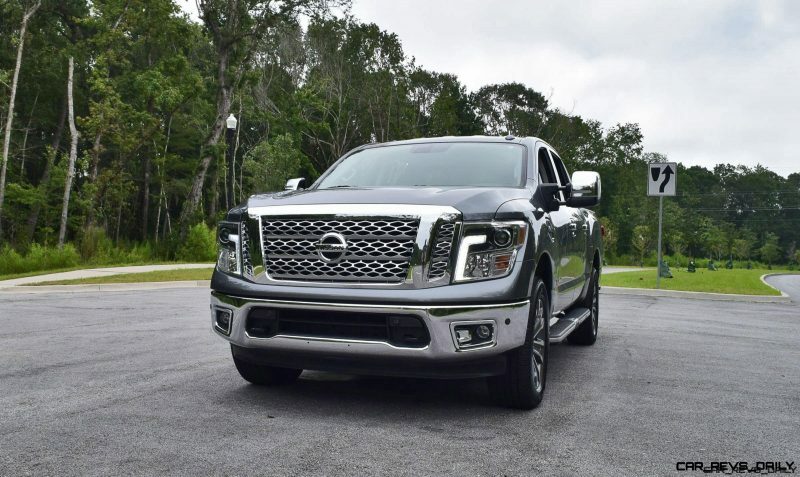 It is imposing and clearly powerful in anyone’s rear-view mirror – much more-so than most F-150s or Silverados. 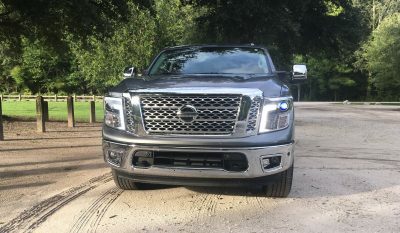 The LED daytime running lamps up front are well worth having on your Titan. 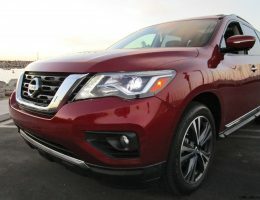 They are piercingly bright in the daytime and create a gorgeous look at night with the projector LED lowbeams engaged. It is one line of matching light. The vertical look emphasizes the height of Titan’s hood beautifully. Halogen fogs and high-beams are underwhelming but not a dealbreaker. 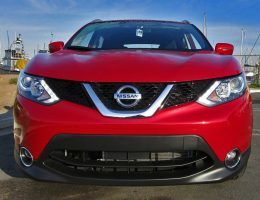 The same pseudo fender vents as the XD now house a jumbo V8 Endurance badge to denote the gas 5.6L motor. 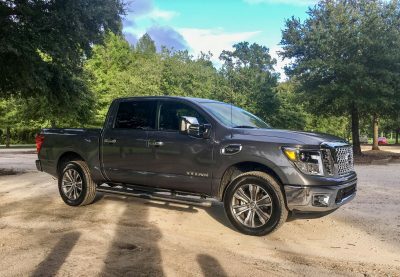 The profile of Titan shows a smoother windshield rake than most pickup trucks, which helps aero and cabin noise more than it does the style. Fender muscles like deltoids create strong horizontal flow in the sheetmetal before both dive downward as they meet the cabin. 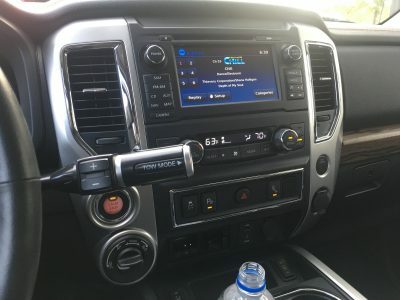 Fixed running boards across the length of the cabin help visually lower the truck slightly, and are nice to have even for tall folks. Titan really is that tall. The tail is extra conservative and could be from almost any truck. Aside from the Nissan badge as large as a dinner plate! 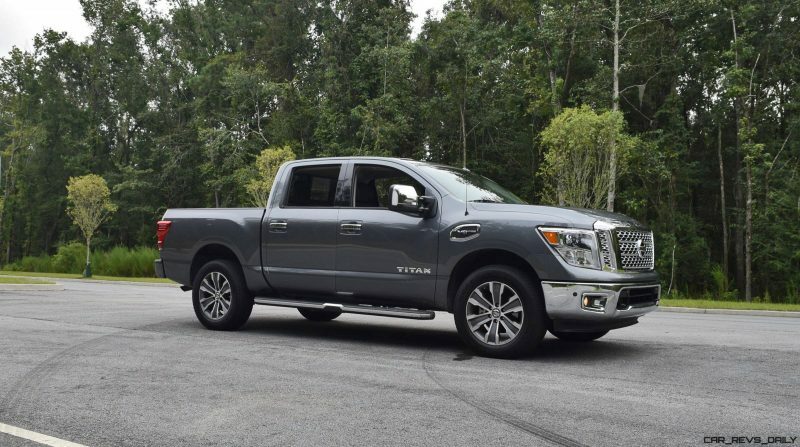 In all, we’re fans of Titan’s design and how insanely macho it looks on the road. 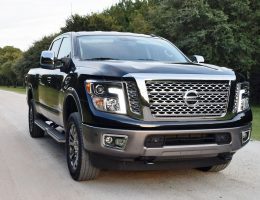 The body-color grilles on the Pro4X or the blackout of the new Midnight Edition Titan look slightly more modern than chrome, but might not be as tough wearing over the long haul. 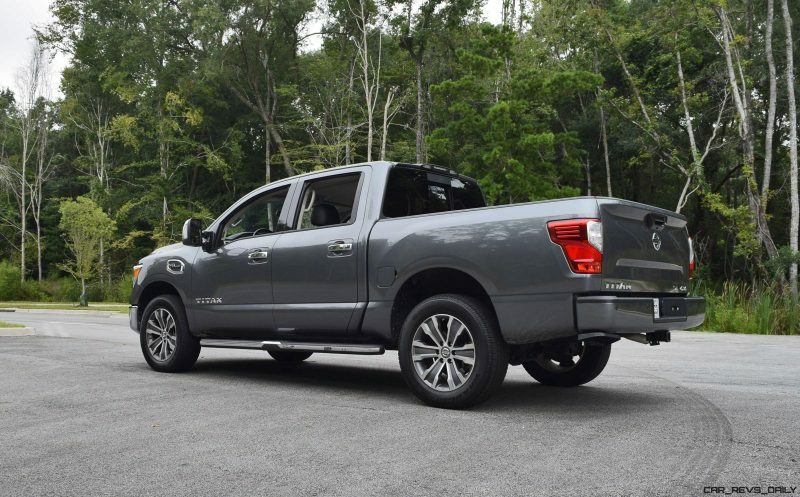 Style wise, this Titan SL on 20-inch alloys achieves a solid B grade. 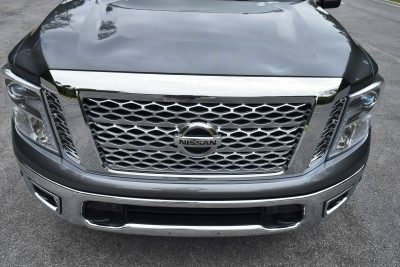 Cabin of Titan is where its far more modern chassis really has a chance to set Nissan apart from Chevy, Ford and Ram. 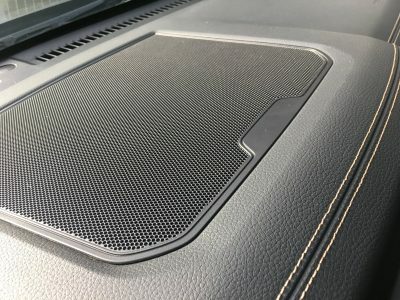 Titan definitely has more insulation, refinement and durable feel than most GMC Sierras or Ram 1500s. 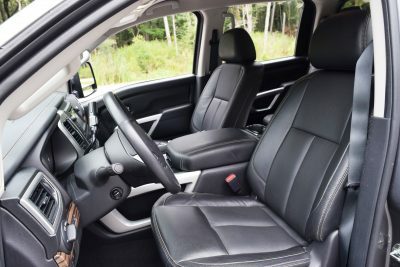 It also has overlarge power captain’s chairs and serious sense of scale versus any F-150. You could hula hoop inside here. Titan is so large that grabbing lost items from the back seat or far footwell is impossible from the driver seat. 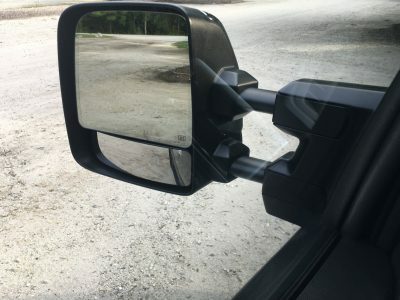 Folding in the $360 Towing mirrors is needed in small carwashes and is not power operated. Power tilt/telescope for the leather-wrapped wheel is a nice touch. Wish you could sit lower inside Titan than the seats allow, however. In terms of capability and usefulness, Titan’s cabin is chock full of handy solutions. 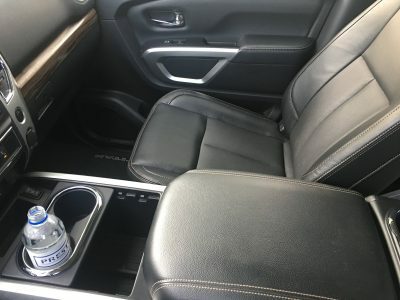 Center console space is well-done for mobile office paperwork. Power ports appear throughout along with three-prong plugs. Trailer brake controls and parking sensors and around-view monitors are genuinely helpful in tight lots. Is there a “But” coming? Yes. 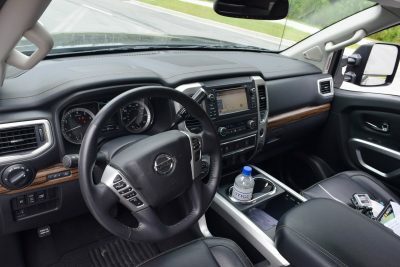 While wood-tone accents and leather are nice in Titan, the truck’s interior design and materials are a long way from being credibly luxurious. Even things like the central 7-inch touchscreen seem somewhat yestertech versus the latest Nissan car systems. Overall, the cabin of Titan majors on being useful and long-lasting. 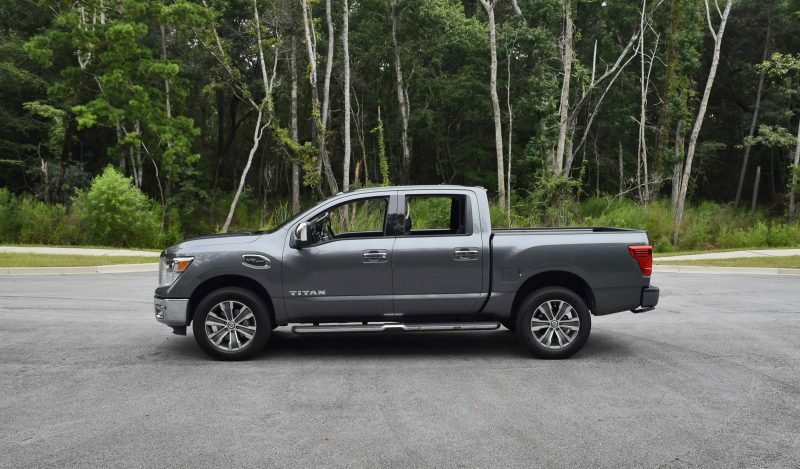 In that way it is more like the Ram 1500 or even Tundra versus the new F-250 Platinum. 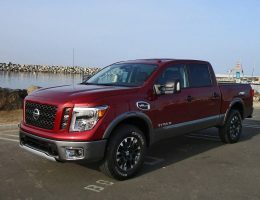 Where Titan destroys rivals like F-150 is making all the goodies standard versus endless options, a la F-150. A respectable B grade inside Titan SL 4×4. The first hints that this was not an XD came right through the Titan’s steering wheel. 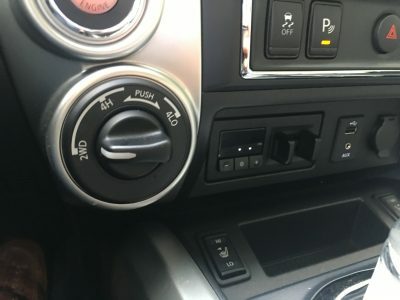 One of the biggest differences between the two is the steering rack: recirculating-ball in the XD versus rack and pinion in the non-XD. The rack/pinion setup is far more precise on two-lane roads and around fast corners. The other major change is to the front frame rails. The XD is upfitted with extra reinforced boxed frame rails, while the non-XD skips this. 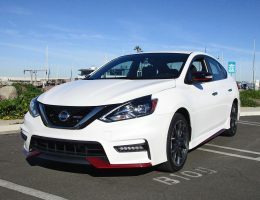 The result is a lighter nose by around 100 pounds – adding to the accuracy felt through the non-XD steering wheel. This Endurance gasoline V8 is a sweetheart. We’d go for this all day versus the diesel, unless serious towing was on the menu. 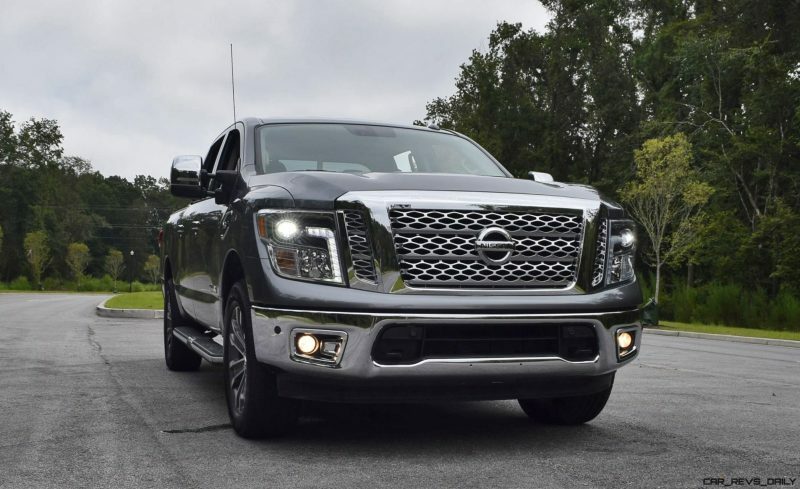 The gas V8’s exhaust note is like an automatic weapon on full throttle. 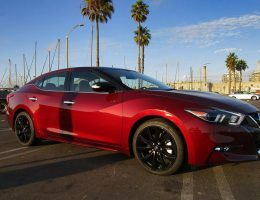 The seven-speed automatic pairs well with the motor for snappy off-the-line pace and good passing power. 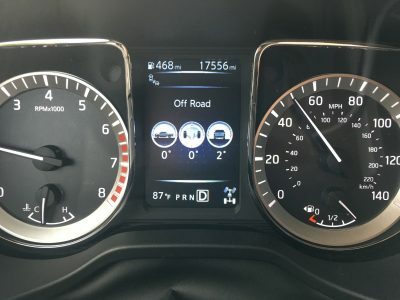 Strong as it may be, the Cummins 5.0-liter V8 cannot boast either of those traits. 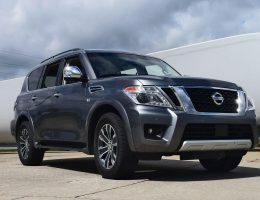 The non-XD loses about 1000 pounds of overall towing and hauling strength versus the XD for about $2k more. We also hoped the non-XD would be more fun around corners. And it is. But not by much. 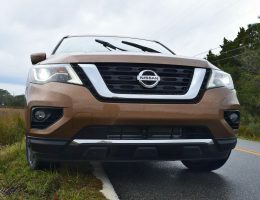 The steering is definitely more feelsome and accurate in the non-XD, but the machine is still sprung so tightly that its unladen handling is stiff and uncompliant. 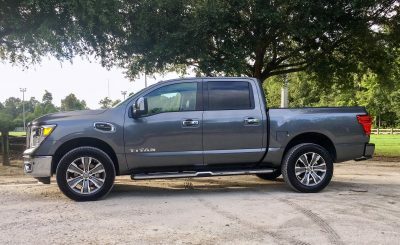 Yes, there is no body roll to report (far less than Ram 1500 showed) but Titan also rides very, very firmly. The rear end seemed so stiff that taking corners on power felt slightly precarious. Flip 4×4 on and you have much more confidence that you wont lose grip in Titan. 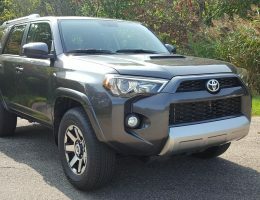 A much meatier steering feel with the front axle engaged helps directional stability at highway speeds, but has to be flipped off for almost all parking scenarios. 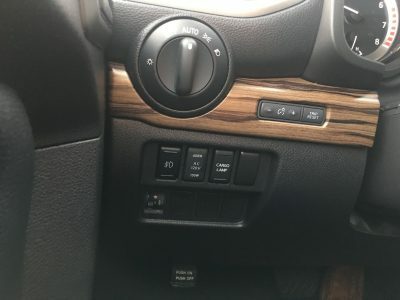 A full automatic setting would be nice, but few trucks have that to offer. 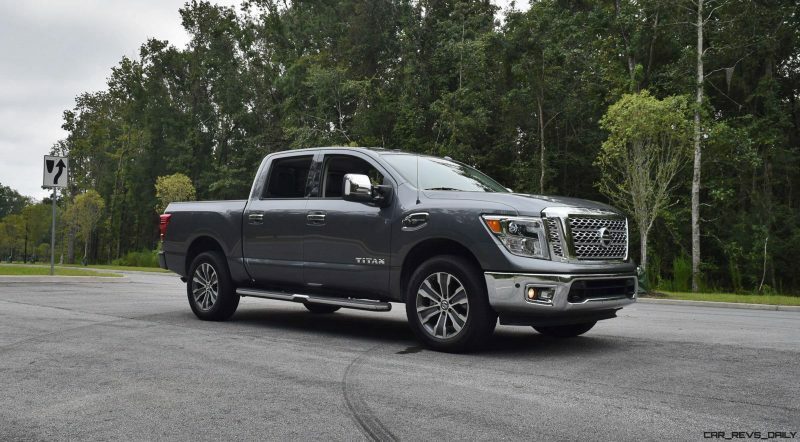 So, Titan without the XD is quicker than the XD with either diesel or gas engine. 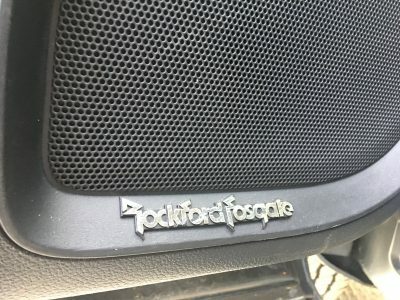 It sounds stellar and boasts immense thrust at all times. These are great things. But Titan is no dancer on twisty roads. 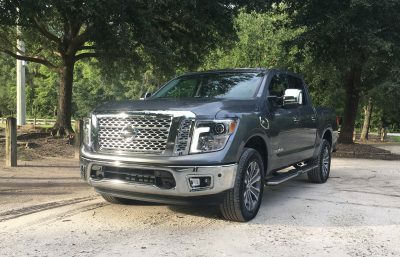 There are much more engaging 1500 trucks to drive, and ones that ride far better than Titan as well. 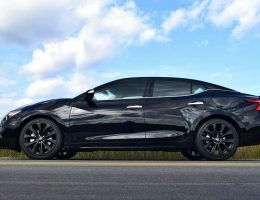 For these reasons it has to be a C+ grade for Performance. 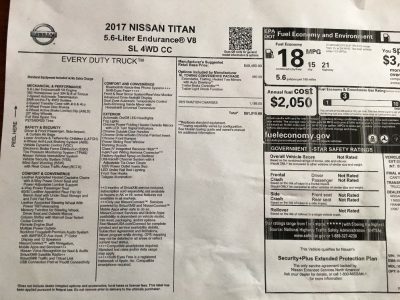 Pricing of Titan is a huge asset and strength in its corner. 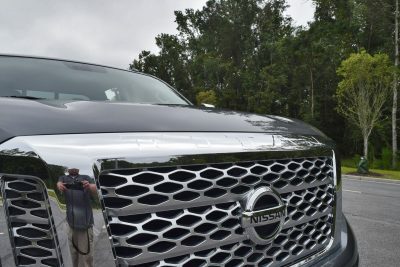 The machine is about $5k cheaper than like models from Ford or Chevy, and includes a best-ever truck warranty. 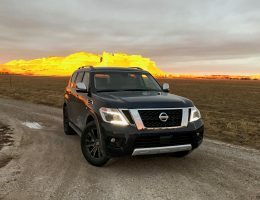 5 years/100k miles for the bumper to bumper and powertrain show how confident Nissan is in Titan’s longevity. Titans start from around $30k and the Titan XDs from around $32k. With the king cab, 4WD, 5.6L V8 and SL trim package, the test truck stickers at $51,015 including delivery. Solid A grade for value. 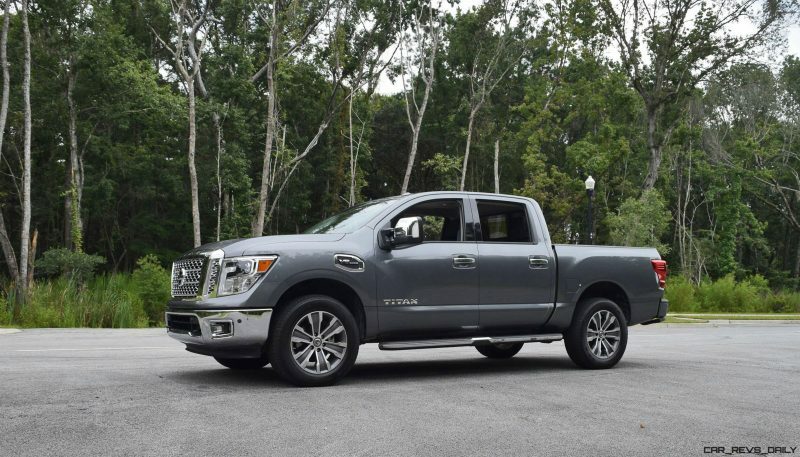 Titan is carving a place for itself from the rock-hard market shares of Ford, Chevy and Ram. 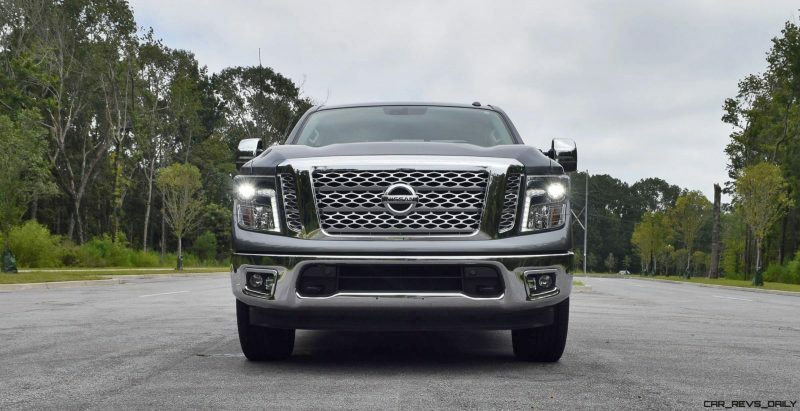 This truck can match or beat its rivals in nearly every objective measure. 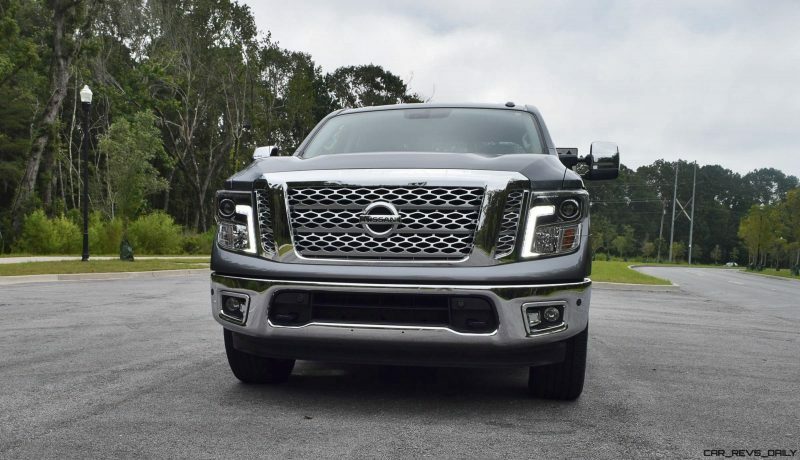 It is as big and damn-near as capable as most 2500 trucks. But priced and drives like a 1500. 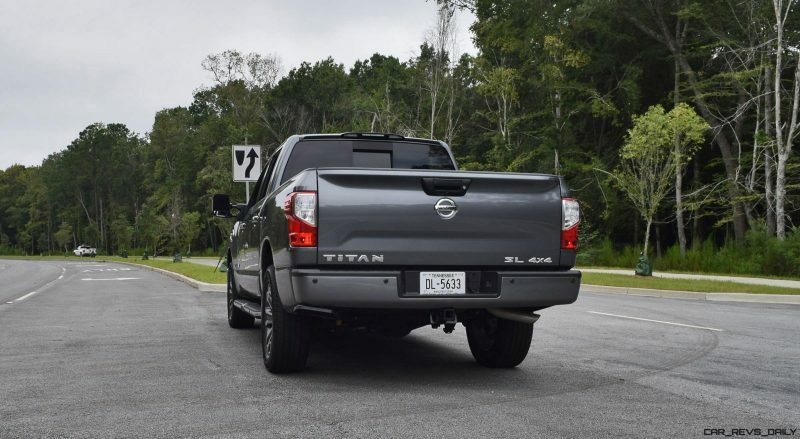 The drive comfort and around-town agility of the non-XD Titan are notable improvements. 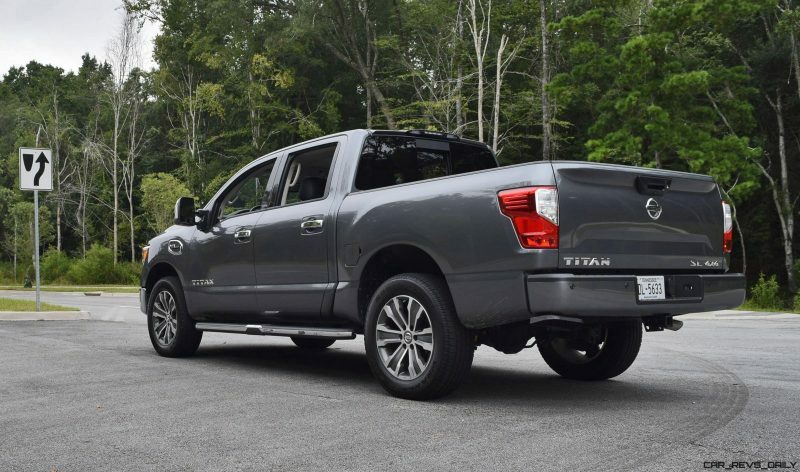 But Titan is still more difficult to drive fast on tight roads than Ram or Chevy. Is any of this a fair evaluation? How often are The Rock and Vin Diesel taking their ladies to a ballroom dance? These trucks are for towing and hauling like a boss! All true. 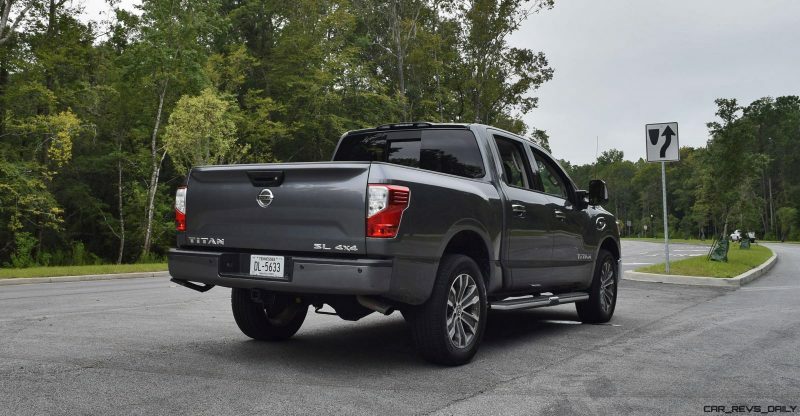 But another truth is that Titan SL 4×4 is still closer to a 2500 in drive feel. Whether that is a strength or weakness will be up to you.